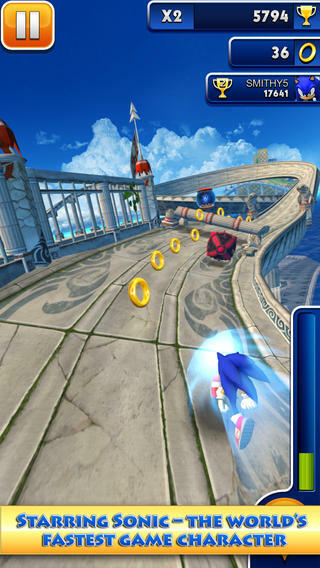 Staying on the topic of Mobile Sonic games, Sega has just released something Easter related for Sonic Dash. While being a bit on the late side with Easter, they make up for it with an amazing reward, being Cream the Rabbit. The Global Challenge is just like any other, 4 stages in which you have to collect certain items (being Easter Eggs) and make it to the top with the help of the Dash community. And of course, when completing a stage, you will also receive certain power-ups. So keep dashin' people! The challenge will end at the 5th of May, so good luck to all Dashers out there! Dear friends, we have some great news! 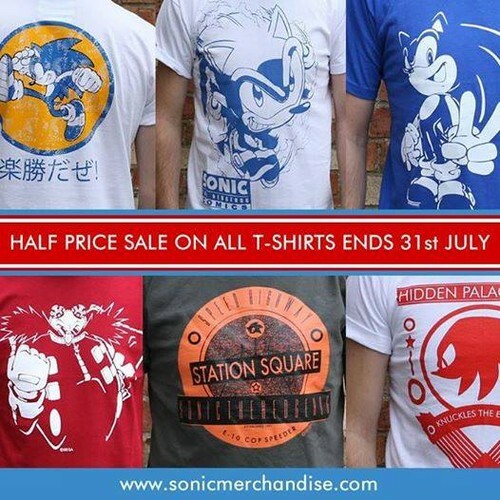 Summer 2014 will mark one of the most important events in the history of Sonic fandom surrounding Russia and several other countries, which will unite all fans from main Russian communities! 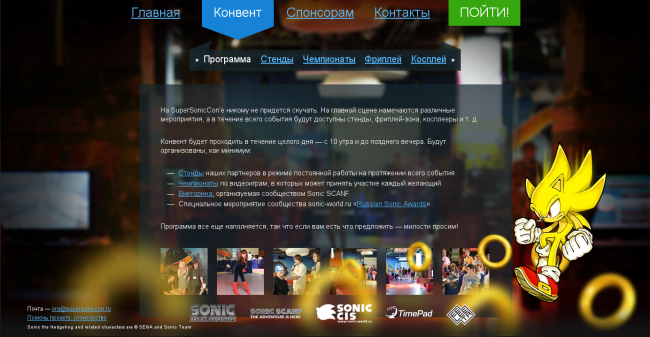 Russian Sonic the Hedgehog fans have been arranging large meet-ups in Moscow every summer since 2006, but this time we're going to hold a true fan convention called SuperSonicCon with everything that usually composes such events. During the entire day under the roof we will hold ceremonials, different contests, video game tournaments, and the most important thing of all - Sonic fans from all over the world will be able to meet in a friendly atmosphere, chat and have a really good time! — It will be held in a large place, well-equipped and prepared for housing an event like this. Most likely it will be “ DNK HALL” in the “Central House of Artists ”. — Stands of our friends and sponsors will be set up. Everyone can organize their own stand where they will be able to exhibit their art or show off their Sonic staff collection. 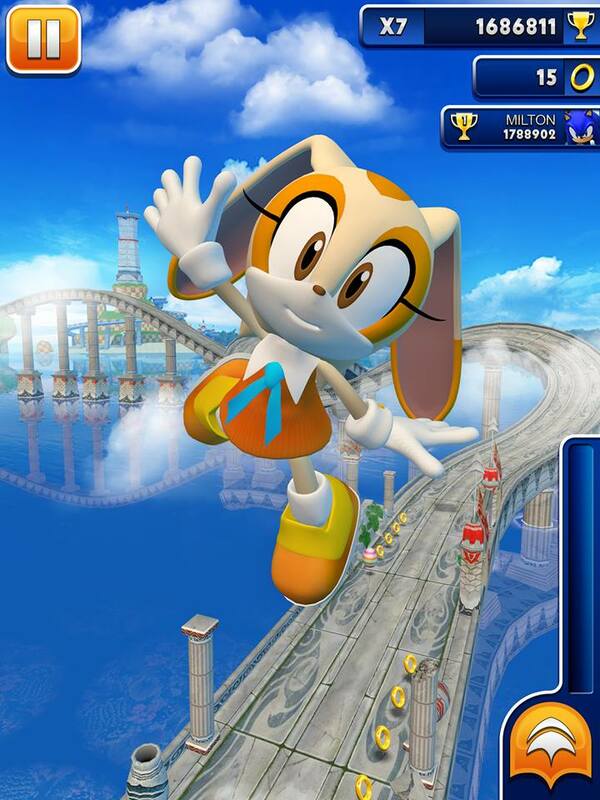 — For the first time at a Russian Sonic event you will see cosplay ! We invite all the cosplayers to take part! A few teams are already willing to be there with us. And, of course, photographers will be there too. — And as always, exciting gaming competitions , where you will be able to compete with others playing classic and modern Sonic games! Winners of the competitions will receive great prizes! Everyone can take part in organization of the convention. If you have any ideas regarding the event, its format as a whole or its separate parts, you can share them with us! SuperSonicCon will be held at August 2nd 2014 ! Sonic Lost World meets the Legend of Zelda! 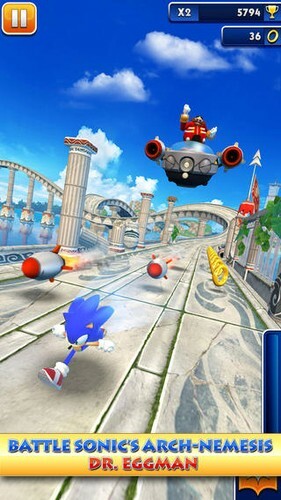 Released at the 27th of March, Sonic Lost World received another DLC for the Wii U version. This being the earlier hinted the Legend of Zelda zone. In this DLC, Sonic fits into a link attire and explores Hyrule in search for the famed Triforce. He will also come across various Zelda gimmicks, including Rupees and Heart Containers. You will also see Link flying on his bird from Skyward Sword on several parts in the stage. A love letter to both Sonic and Zelda fans. You can download this DLC for free on your Nintendo Wii U console.